The engine mounts keep the motor in place. They need to be replaced if there is excessive vibration, impact noises under the hood, or engine movement. Engine mounts act as a vibration damper protecting the surrounding steel of the frame and or sub-frame on your vehicle. The engine mount also acts as a limiter so that the engine does not make contact with things like the surrounding engine bay and components surrounding the engine. The engine mount is made up of a flexible yet strong rubber insulator connected by two metal mounting points. Step 1: Set parking brake and inspect the engine mount. Have a partner cycle through gears while you are looking at all visible engine mounts, look for excessive movement and vibration. 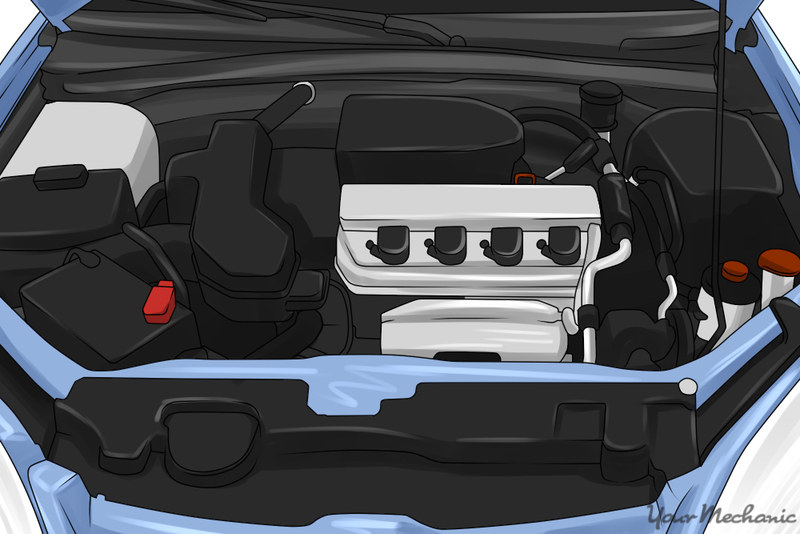 Step 2: Turn engine ignition to the off position. 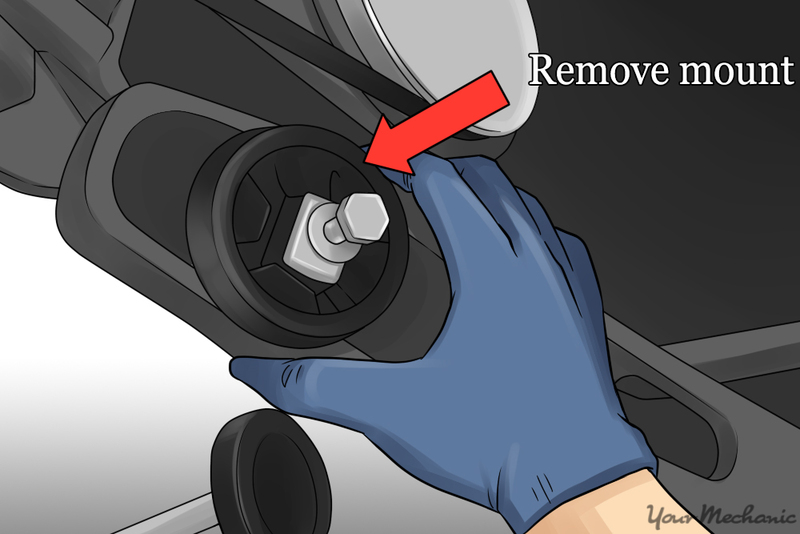 Ensure parking brake is still engaged, use flashlight or shop light to inspect engine mounts for cracks or breaks. Step 1: Accessing broken engine mount. Raise vehicle with floor jack enough to allow yourself access to the broken engine mount and secure with reliable jack stands. Step 2: Support the engine. Support the engine from beneath the engine oil pan with wooden 2x4 block of wood in between the floor jack and engine oil pan. Raise engine just far enough for support and to take the weight off of the engine mounts. Step 3: Spray lubricant on engine mount. Apply penetrating spray lubricant to all nuts and bolts attaching engine mount to engine and frame and or sub-frame. Let soak for a few minutes. Step 4: Remove engine mount and nuts and bolts. 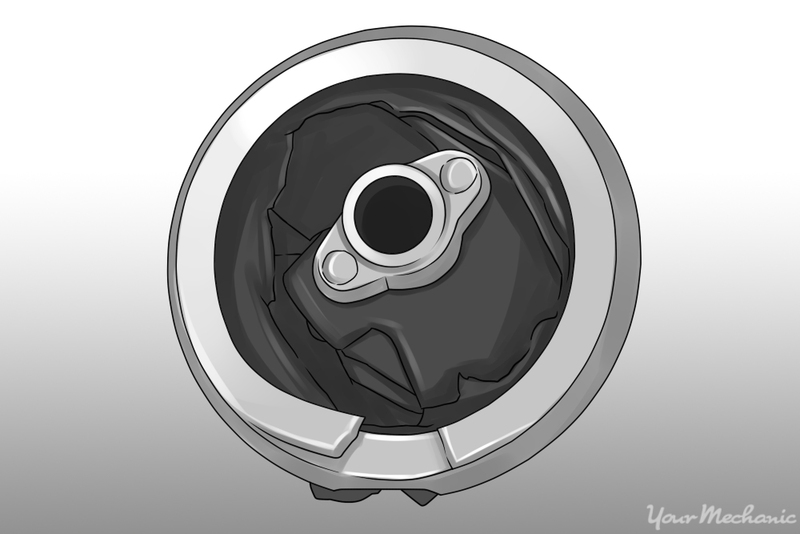 Find the appropriate size socket and or wrench to remove the nuts and bolts. Nuts and bolts may be extremely tight and may require use of a breaker bar to loosen them. Remove engine mount. Step 1: Compare old and new engine mounts. Compare side by side both old and new engine mounts to ensure correct mount and mounting bolts holes. Step 2: Ensure engine mount fitment. Loosely mount engine mount at mounting points and ensure mounting points are accurate. Step 3: Torque mounting nuts and bolts. Check service manual for correct torque specifications for your specific application vehicle. With a torque wrench set to the correct specification, tighten nuts and bolts until the torque wrench clicks. Step 1: Lower and remove floor jack. Carefully lower and remove floor jack and wooden 2x4 block from beneath the vehicle. Step 2: Remove vehicle from jack stands. Carefully remove jack stands from beneath the vehicle and lower the vehicle to the ground. Step 3: Have assistant run through gears. Engage emergency parking brake and run through gears to check for excessive engine movement and vibration. 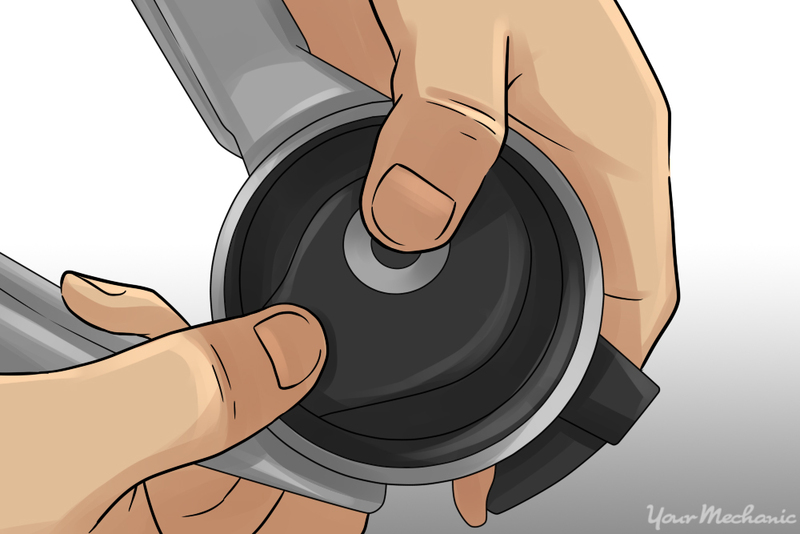 Replacing a worn or broken engine mount is a relatively simple repair with the correct guidance and tools. However, issues can arise in any type automotive repair, so if you are unable to correctly solve the issue, have one of YourMechanic’s certified mechanics replace your engine mount for you. Q: Does a VW Passat 2003 have a front motor mount?